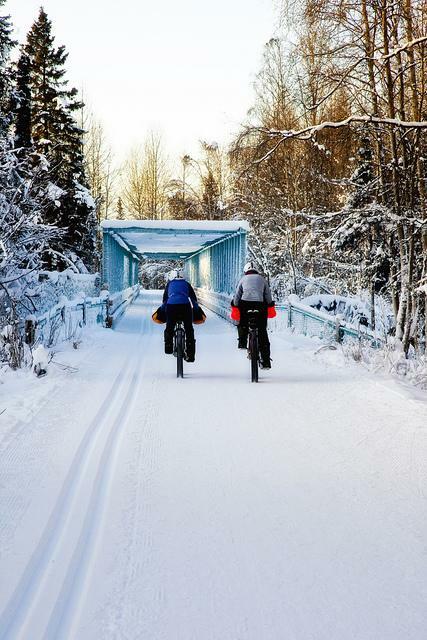 Trail Ramblings: International Winter Bike To Work Day Is This Friday! An article by Janine Copple Comments Off on Trail Ramblings: International Winter Bike To Work Day Is This Friday! You can sign up at https://winterbiketoworkday.org/. They are also on Facebook, search for Winter Bike To Work Day. I’ve been reading about other cities and their winter bike commuters lately. 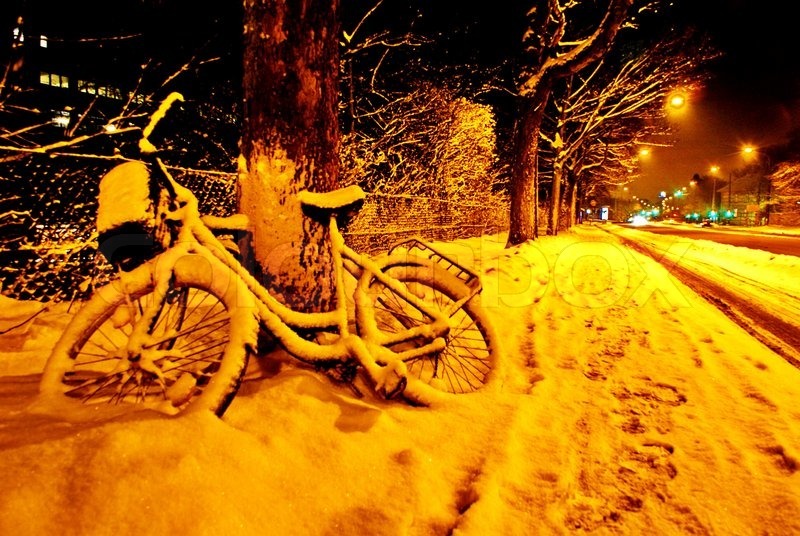 Winter bike week is February 2 –9. In Duluth Mn. The week is filled with activities including a Winter Bikepacking and Camping Trip, Winter Bike Commuting 101, Ladies Mountain Bike Night, Bike and Walk to School Day, a People For Bikes Meet-up, Bike to Work Day, and a bike tour. https://www.fox21online.com/search/bike+to+work+week+ has a nice interview with an organizer of the event. In Glenwood Springs CO, It’s Winter Bike to Work/Bike to School day Friday. Crews will be handing out prizes, breakfast burritos, doughnuts and hot chocolate. Some schools will have free neck gaiters and face masks to give away. Since we have a lot of winter, we’d best embrace it and have some fun. Yes, we had some Polar Vortex action last week, but the Arrowhead 135 went ahead as planned. It’s scheduled for the coldest part of winter and goes from International Falls to Lake Vermillion in Minnesota along the Arrowhead State Trail. 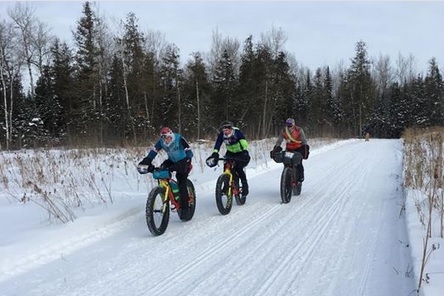 135 miles of temperatures as low as -30 Fahrenheit, and many raced self-supported. So how is that possible you may well ask? There is an old saying in Nordic countries “There is no bad weather, only bad clothes.” That, and being very well prepared makes it possible. Only 36% of the field of 146 that started finished this year. According to Bicycling Magazine “The racers, whether they finished or not, were just happy to be there.” Some had duct tape on their faces to prevent frostbite. Also, standing still for very long could get you in trouble. This Friday will be cold, it looks like it will get down to -3 Thursday night but will be sunny. Some of you biked to work last Wednesday morning, when it was between -8 to -13, depending where you were. I rode in the afternoon when it had gotten up to 1 degree above 0. Some people have battery powered hand or foot warmers, which sound fabulous, or chemical heat packs. It depends how long your commute is and your own circulation whether you need the extra boost or not. There is a great temptation to overdress, but that only makes you sweaty, which in turn can make you wet and cold; a dangerous combination. Be careful with over-thick layers of glove liners and socks which can restrict blood flow to the feet and hands. Expect to start out a little cold. Avoid gaps where wind can rush in. The neck, wrists, ankles, and waist should be sealed from breeze, though once you get heated you may want to open up that neck zipper to regulate your temp. I need a breathable face mask, fog-free goggles, and maybe wind pants when it gets down into the 20’s. There are resources online and on YouTube about how to dress for winter biking. Most of us who do it have gear that we know is good for certain temperature increments, with variations for wind and wet. Once you find what works for you you feel practically invincible. So I hope to see some of you out there this Friday morning. Happy bike to work week!